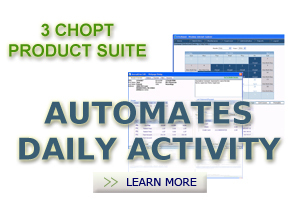 3 Chopt's innovative software products, the Payment Receipt Journal and Revenue Control System, provide intuitive & highly configurable solutions for collecting, verifying, managing and reporting collections and reimbursements system-wide from all sources. 3 Chopt's suite is a comprehensive end-to-end solution that "tracks the money" from collection to posting and balances all collection activity to the penny each day. 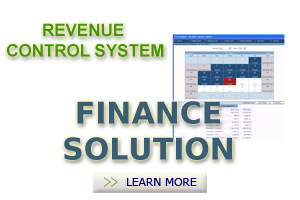 Our software easily integrates with existing systems and provides a quantifiable ROI by providing a means to collect smaller balances that may otherwise be written off. Administrators can generate complete payment and audit histories and easily identify exceptions and out of balance situations. 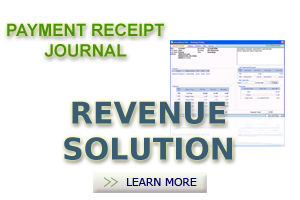 As a result, more balances are correctly collected at point-of-service and all receivables are easily managed. 3 Chopt Software is designed to solve tangible business needs through the integration of technology and an in-depth understanding of payment processing and administration. Our software gives users the right tools to do their job more efficiently at all levels of payment collection and processing. All 3 Chopt products are scalable and provide a stable platform for future enhancements integrations or business initiatives. Copyright © 2012 - 3 Chopt, LLC - All Rights Reserved.